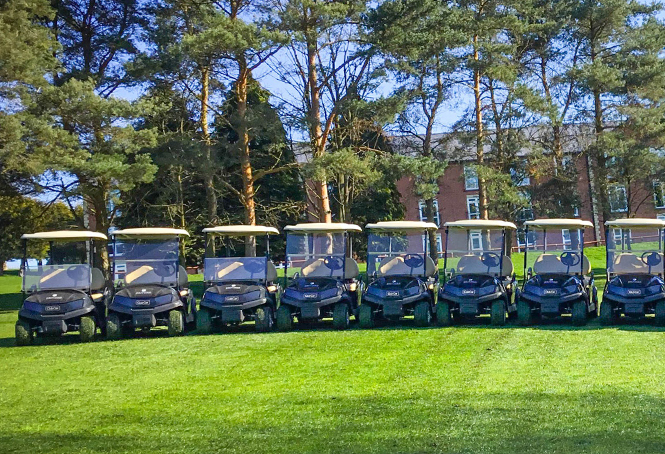 Macdonald Hotels & Resorts is set to unveil a fleet of state-of-the-art golf cars at venues across the UK including Macdonald Spey Valley Championship Golf Course. This follows the renewal of a four-year deal with Club Car, a world-leading manufacturer of small-wheel, zero-emissions electric vehicles, through licensed dealer Carryway, who deliver and maintain the vehicles. The agreement marks an extension of a long-standing partnership with Club Car - Official Supplier to the European Tour - and specialist golf vehicle dealer Carryway, which will see the arrival of 137 Tempo golf cars. The new vehicles represent a strong investment in the golf facilities on offer at the hotels and resorts, which have a reputation for being some of the finest in the country. Keith Pickard, group director of leisure and golf at Macdonald Hotels & Resorts, said: “Our golf courses have long been regarded as some of the best in the country.